Apple iCloud Apple designed its iCloud service to work as if it were invisible. Snap a photo on your iPhone and it pops up on your Mac or Windows PC. Edit a document in the Pages app on a Mac, and that same edit appears on the Pages app on your iPhone. Buy a song on iTunes on your Mac, and on your iPhone you can re-download it; same with e-books you buy through iBooks. Additionally, iCloud enables automatic wireless backups for iOS devices. Each Apple customer gets 5 GB of free space for backups, documents and e-mail; the photos, music and books don?t count toward the 5 GB. Amazon’s Cloud Drive is as straightforward as a cloud service gets: It?s just an online storage locker. You put files in there, and they’re online. You can access the files from any device that supports Flash. (That means Cloud Drive is useless for any iPhone or iPad customer, since the devices do not support Flash.) 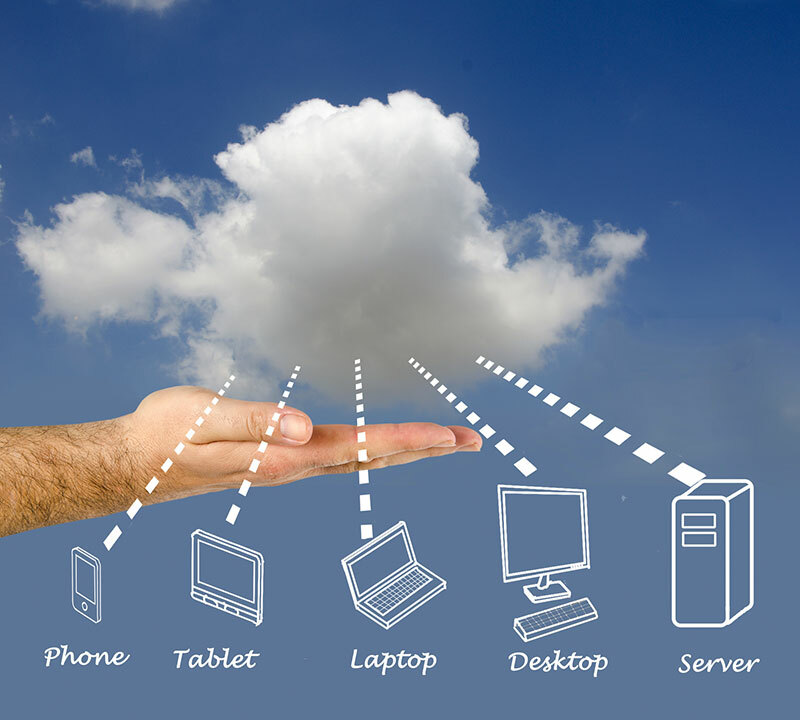 Sign up for a Cloud Drive and you get 5 GB for free; you can pay an extra $1 per extra gigabyte each year. Google’s ‘cloud’ suite can be confusing: There’s no one-stop destination that hosts all your media. 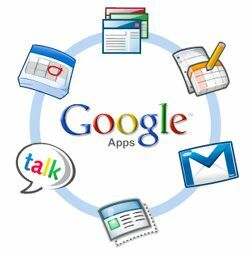 You have to go to Picasa to deal with your photos, Gmail for your e-mail, Music Beta for online music storage and Google Docs for your documents. Each service offers at least 1 GB of free space, and you can plunk down an extra $5 per year to add 20 gigs for most of its services. You can rent up to 16 TB each year for $4,000 (you know, in case you’re trying to boot up Skynet). 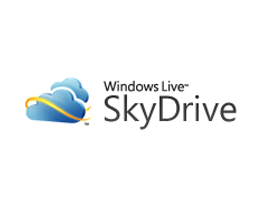 Microsoft Windows Live Like Amazon’s Cloud Drive, Microsoft’s Windows Live service includes SkyDrive, a cloud storage service that’s simple but generous. You get 25 GB free, and that’s all you can have ( no options to expand). You can throw whatever file you want into the SkyDrive. SkyDrive has some nifty integration with Windows Phone 7. Snap a photo or shoot a video on your Windows phone, and it goes straight to the SkyDrive. Dropbox, the hottest cloud solution in the startup world. It’s basically a web-connected folder that lives on your PC or smartphone. Toss any file in your Dropbox on your PC, and it appears in the Dropbox app on the iPhone. Make an edit to a file, and the changes synchronize across all your devices connected to Dropbox. The Dropbox client works the same on every major platform ( Windows, Mac, Linux, iOS and Android) and you can also access your files through the Dropbox web interface on any device with a web browser. Quickbase Ultra-customizable, fast, and easy, Intuit’s QuickBase is the only business-class online database to come from a long-established vendor that a cautious company can trust. Editor’s Choice winner Quickbase, Intuit’s database can house any type of data from invoices to inventory. It’s fast, reliable, and has many native applications, so you can quickly get up and running. JungleDisk is the only service in this list that is not available for free – and technically, it is not even an online storage service. Instead, it provides a frontend to Amazon’s S3 storage service. JungleDisk costs $20 and after that, you pay Amazon for the storage and transfer of your files. JungleDisk also lets you map your Amazon S3 storage space as a network drive on your computer, so that you can just drag and drop files back and forth between your online storage and your local desktop. 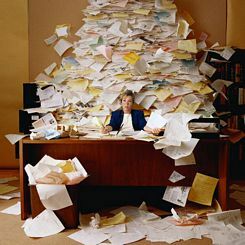 Document Management – Document Management is the capture, storage and retrieval of documents. With or without a document management solution, your organization already captures, stores and retrieves documents every day. For many organizations, this process is amazingly time consuming and too often ignored.